The aim in posting this short video, entitled India’s Red Tide, is not to imply uncritical support for the Naxalites but to better understand how social and economic conditions in the global south give rise to the possibility of a people’s war model of revolutionary class struggle, as well as its potentials and limitations. As the video implies, modern capitalism imposes conditions which leave people little choice but to resist. Sometimes, as in India, this resistance takes the form of protracted armed conflicts and people’s wars. 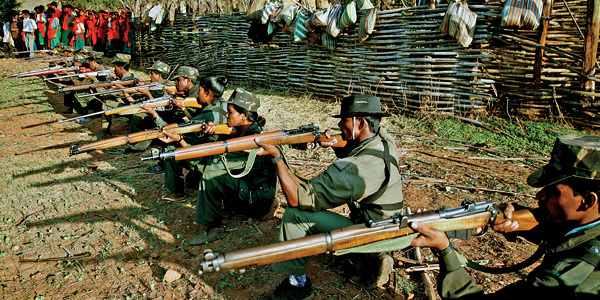 Yet the Naxalites, like other guerrilla movements, are in a phase of severe disadvantage and their range of activity is limited.